Missing Cat Berryhill Subdivision #Sackville. Please RT/Share ! | Sack-Vegas!!!! Missing Cat Berryhill Subdivision #Sackville. Please RT/Share ! Please share this one around, folks. 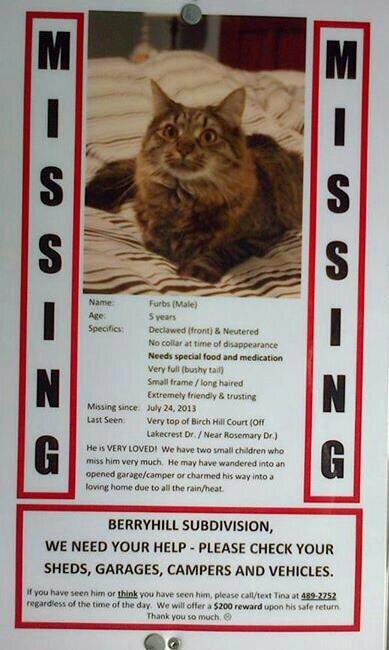 This kitty has been missing for a while. Posted by Sacky on September 14, 2013 in Escaped Sacktown Critters.